Devonshire is elegant and timeless, and looks fantastic in ultra modern condos and traditional homes alike. 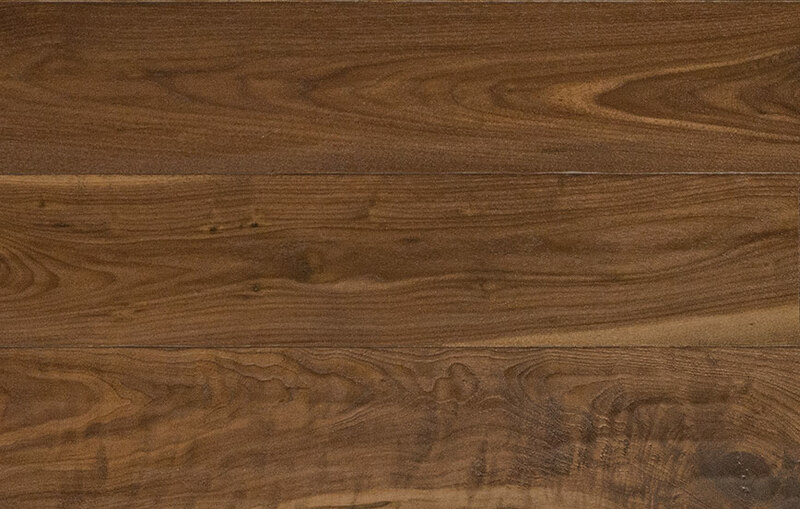 Black Walnut ranks as the most sought-after of hardwoods because of its naturally rich, deep brown tones and beautifully figured grain. Our skilled craftsmen individually fashion each plank through refined techniques, creating lightly wire-brushed textures which accentuate the wood grain’s inherently beautiful patterns. All staining is done by hand to ensure that the wood will exhibit a lustre that only traditional methods can achieve. We'll send you a real piece of Devonshire so you can explore how it looks and feels in your home.